Starting an Amazon business is easy and doesn’t require huge capital. However, running a successful Amazon business takes a ton of hard work, patience and perseverance. Certain business models are relatively easy to start, but may require some time to become profitable. On the other hand, other models generate money easily but take a steeper learning curve or upfront investment. So, what’s the right Amazon business model to pursue? In today’s post, we’ll talk about the most popular business models and the pros and cons of each. Retail Arbitrage has become an increasingly popular business model in the last few years. With this model, you have to find extreme bargains one at a time and then resell them at a much higher price. While making a consistent living this way proves challenging, your profit for each transaction can be immense. It doesn’t require a website. It takes a few startup costs except for the inventory. The downside of using this model is that you need to constantly hunt bargains to list on the platform. Although you can make money right away, it’s not easily scalable. Additionally, your competition from other vendors selling the same items can make it hard to maintain consistent profits. 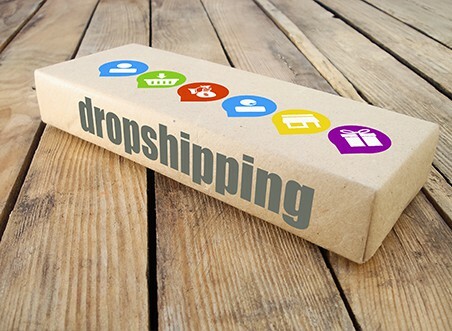 Dropshipping is the process of selling a product without the responsibility of carrying inventory or shipping the goods. Instead of fulfilling products yourself, you send orders to your vendor and your vendor does the shipping to your customers. You don’t need to have an inventory. You don’t need to fulfill orders. You don’t need to pay for start-up costs. You only have to worry about your listings and their fees. You can literally sell hundreds of items immediately. 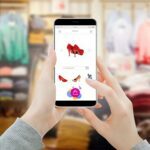 The ultimate disadvantage of dropshipping is that your margins are super low. This is chiefly because you’re not responsible for the inventory and the fulfillment process. This can also lead to problematic customer support. Another downside is that you can’t have control of your product mix because you’re selling a third party’s items. Lastly, you don’t have the assurance that your shipment would always be on time. An unreliable supplier not only damages your store reputation but also puts your Amazon account at risk of being banned. A private label product is a product that is manufactured by a third-party manufacturer and sold under a brand name. With private label, you sell generic products under your own brand name after buying them in bulk from a larger vendor. You save money by avoiding products that have branding. As a result, you can keep your prices lower. Because you can sell items at a lower price, you attract more customers. You can control the production of the items at your own pace. You can alter your products depending on the needs of your customers. Creating your own branded packaging requires money. It takes a lot of time to see success in private label selling and build brand awareness. 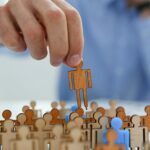 Considering that you are selling replicas of the branded products, you have to work harder to develop a unique identity. When it comes to production and the quality of the goods, you are highly dependent on your manufacturer. Private labeled items are less trusted by buyers compared to national popular brands. Selling wholesale products using FBA is another popular business model on Amazon. In this model, you buy items in bulk directly from the manufacturer at a wholesale price. Then, you sell those items on Amazon and eventually make a profit. You don’t have to drive demand to your listings. Since you are selling products from established brands, you can immediately benefit from their existing customer base. If the product is selling well, you can easily and quickly replenish your inventory to keep up with customer demand. As long as the items are produced by the manufacturer, you’ll be able to source them. The biggest challenge of selling wholesale products is the tight competition on listings. Unless you can find a product that isn’t already sold on Amazon, establishing yourself as the exclusive seller can be difficult. Another challenge is getting approved by brand owners. If you’re just new to Amazon and has yet to build your track record, you may not immediately get approved by brand owners to sell their products wholesale. Whatever business model you pick, make sure you think about other factors such as long term sustainability and the probability of success. It’s best that you give each business model a try and see which one works for you well.